The ceremony was beautiful and emotional. Even though I had never even met these people, I cried as Jaimee walked down the aisle with her dad. I cried when I saw the biggest smile imaginable on Rony’s face as he saw his bride walking towards him. 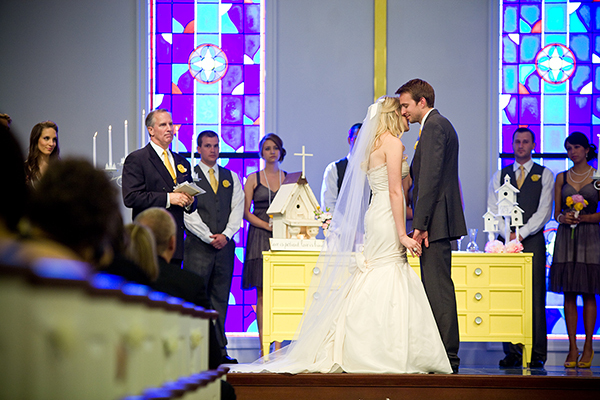 I cried when they stood on the altar together, guitars in hand, and sang songs of worship. And then I cried when they were pronounced husband and wife and joyfully walked hand-in-hand down the aisle. Their smiles were so genuine and so big! It made me think about Jacob’s and my relationship in a different way. It gave me a picture of what it really meant to be in love. There was this joy that was undeniable, that could not be hidden from their faces. I knew that this joy was only something that could come with time and a deep love for one another. Jaimee + Rony’s wedding gave me a hope that one day I would experience what they experienced on their wedding day. It’s amazing to think about the fact that this was the first wedding we attended together, as a couple, and now weddings are so central to our lives. And yes, I still cry at every wedding we go to at those exact moments, the walk down the aisle, the groom’s face, the joy of being married and leaving the ceremony as husband and wife. But, there was something special about Jaimee + Rony’s joy, and I will never forget that. There’s one more part of the story that makes this memory even that more special to us. Jaimee passed away on August 15th, 2010, just a little over 2 years after we watched her marry her sweet husband, Rony. 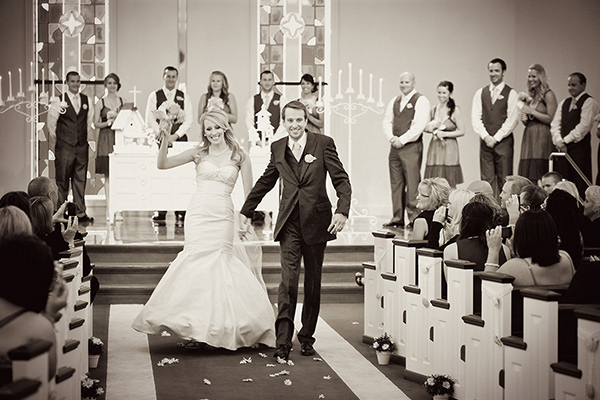 After years of battling Cystic Fibrosis, she went home to be with the Lord. We had been married less than two months when she passed, so it was an extremely difficult pill to swallow. I could not imagine losing Jacob. I could not imagine what it would be like to live without him. At the celebration of Jaimee’s life, Rony greeted us at the door, but he did not look how I expected he would. He had a huge smile on his face, the same smile I remembered from the day he saw his bride walking down the aisle. He was still filled with joy. He was filled with joy because he had been gifted with two years of marriage to the most beautiful girl he could have imagined with a more beautiful heart of anyone he had ever met. And, he knew he would see her again. What an amazing love story they have.